2 days | From 1500RMB/pers. For a weekend outside the city, Chengde is the perfect location. Not too far and not too touristy, Chengde offers a variety of temples to visit. Chengde used to be the summer residence of the last Qing emperors. The Summer Resort, with the temples around, was added to the World Heritage List by the UNESCO. 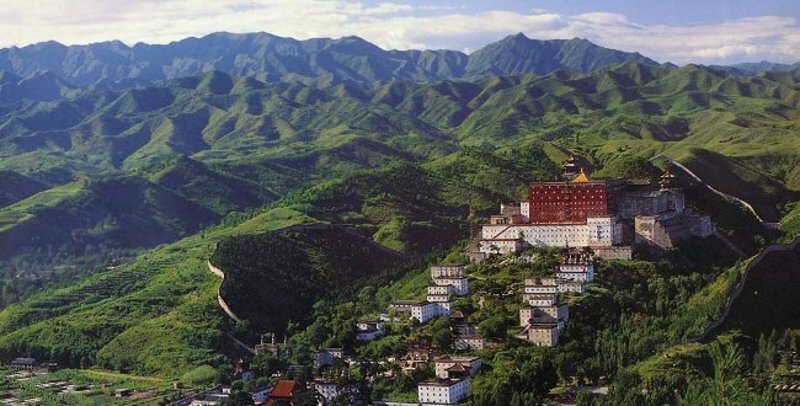 Highlights are the Summer Palace and the 8 temples including Putuo Zongcheng (also known as the replica of the Potala), Xumi Fushou (replica of a Tibetan temple in Shigatse), Puning (also know as the temple of the universal peace) and Pule. This morning leave Beijing with your driver. It will take around 3h30 to arrive in Chengde. After your lunch the driver will bring you to the different scenic spots of your choice. Suggestion for today is to start with the Summer Palace. After your breakfast your driver will bring you to the different temples of Chengde according to your desires. In the afternoon head back to Beijing.